The Universal Monsters are in some of my most favorite Horror and Science Fiction films and have been something I have really been into since I was a very young kid. 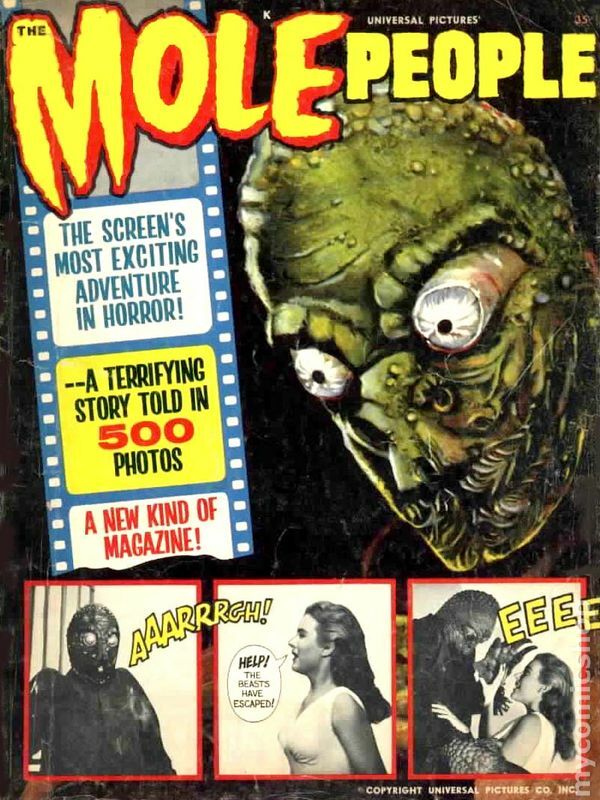 Looking over my list of comics to choose for a “From Horror Movie To Horror Comic,” I quickly decided on the Warren Photo Comic Magazine for The Mole People as I think they are very underrated when it comes to classic monsters and are sadly often forgotten when fans talk about great Universal Horror. So for this update we are going to showcase the Mole People and let them shine in the spooky spotlight of Rotten Ink. So if you’re ready, let’s go underground and visit with the Mole People! 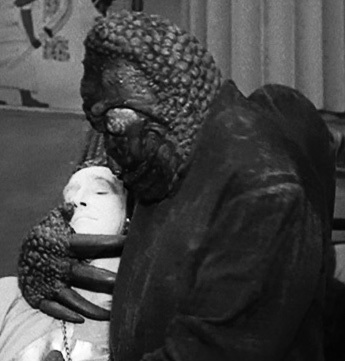 Let’s first take a look at the Mole People who are the film’s bad guys and also good guys as they walk the line. The Mole People are a race of humanoid moles who walk upright and are underground dwellers who have been forced to be slave labor to the Shadow Dynasty who are a batch of albino people who think they are the only living people. 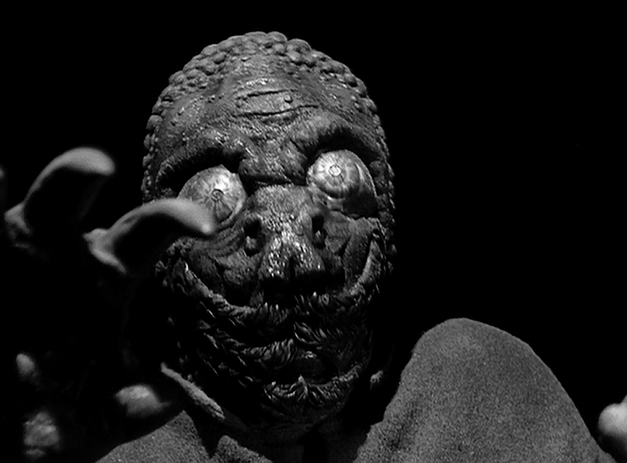 The Mole People have a very odd appearance with a lumpy style skin and have big eyes plus weird mouths. The Mole People, while slaves, do act out and have ideas and motives of their own, and they are also very much a horde society that have a history of eating human flesh! 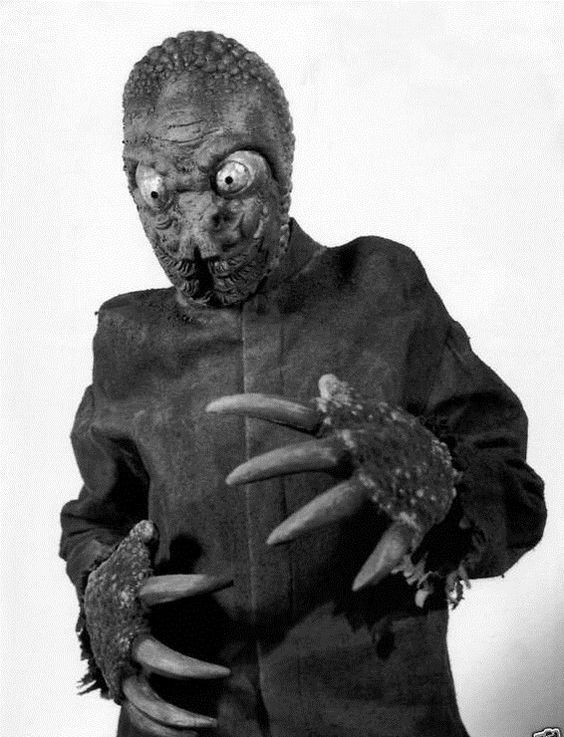 The Mole People, while slow and lumbering, use their weird appearance to scare victims with their main source of killing coming from their massive clawed hands that can rip and tear human flesh with ease. They also can burrow deep underground to travel faster and can pull victims under with their raw power that is well above an average man’s. But while The Mole People are killing machines when pushed, they also have some intelligence that makes them loyal to not only each other but also those who are nice to them. But like all things the Mole People do have some weakness like sunlight that blinds them and can possibly also burn them to death. They can be beaten with items as well as killed like any normal human, as they are not immortal. And let’s not forget that they can also be kept at bay with a flashlight that hurts their eyes. The Mole People’s slowness also makes them easy to get away from while walking on land, and they can also be starved to death as they do need to eat in order to get energy like any normal living thing. So while Mole People are not the most brutal nor vicious monsters we have covered here, they still are very efficient when it comes to killing humans. 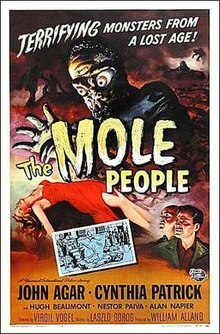 So now that we have taken a look at The Mole People, we should dig our way into the film that spawned them. As always we will be taking the film’s plot from our friends at IMDB and after I will share some production notes as well as my thoughts on the film as well as other cool little information about it. So if you’re ready, let’s dive into some talk about this great Universal Science-Fiction Horror flick! In the 1950’s Universal had moved away from Horror Films that dealt with Dracula, Wolfman, Mummy and Frankenstein’s Monster and headed toward giant insects, atomic age and mixes of science fiction and horror. 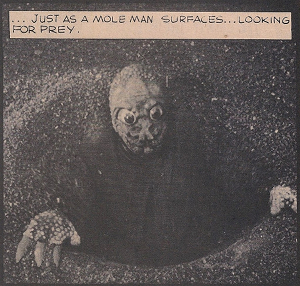 And in 1956 they made such a horror film when they released The Mole People to the cinemas all across America. The film was written by Laszio Gorog, and produced by William Alland with the directors chair going to Virgil W. Vogel who was originally an editor for Universal, and this was his first film as a director. The film would cast John Agar, Cynthia Patrick, Hugh Beaumont and Alan Napier as its leads and was one of the first Universal Monster films to show a woman disrobing, pushing the limits of what they did for their monster films. Rumor also has it that the film’s budget was $200,000.00 and its returns are unknown. 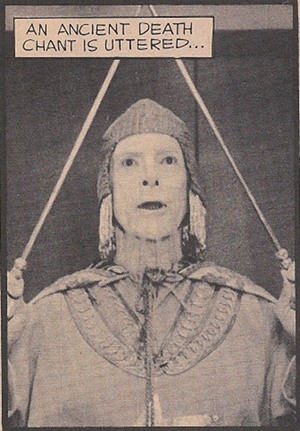 When the film was done, it was released on December 1, 1956, and in some places it was shown with the jungle monster film “Curucu, Beast Of The Amazon”. The film was released the same year as these other classic Horror Flicks: Creature Walks Among Us, Bad Seed, Invasion of the Body Snatchers, Godzilla, Rodan and Indestructible Man to name a few. The film over the years has had a very mixed response and mostly is met with negative reviews by critics and fans that enjoyed when it was blasted on Mystery Science Theater 3000. The film went on to be released on home media like VHS and DVD and Blu-Ray in our and foreign markets. The Mole People is a film I learned about at a young age as I used to read any and all books I could get my hands on that featured classic Universal Monsters and many of them featured The Mole People. One of the books I remember the most was the Crestwood House book that was all about The Mole People and acted almost as an adaptation of the film. Sometime later I can remember seeing the film on broadcast TV and was drawn in by the Mole People themselves and was angry when the Shadow Dynasty were on the screen being mean to them. Some years later I found the film on VHS at an event called Belmont Days from a small video store that had a ton of Horror Films for sale on VHS when it was still king of home media, and in 2014 I got the film on DVD thanks to Universal’s Vault series of releases. 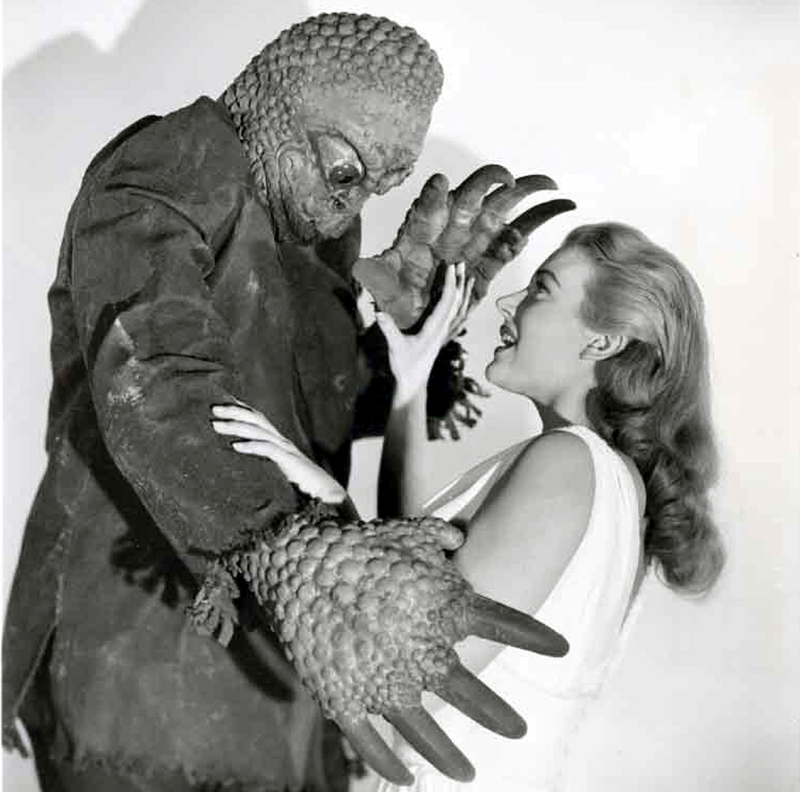 Over the years I have shown Mole People to friends who enjoy classic horror and even have toyed with the idea of doing a fan film sequel to it…but that will never happen. So while this film was released many decades before I was born, for some reason it has always been in my life…for some reason I also remember my Mom talking about this movie when I was a youngster! So if you have not seen this film, do yourself a favor and track it down and give it a watch. So as you can see, the Mole People, while not bloodthirsty, can and will murder and eat humans when the time is right! We also learned a little about the film and my connection to it, and now we are at the point of reviewing the photo comic magazine. I want to first thank Mile High Comics for having this magazine in stock and making this update possible. I need to also remind you all that I am grading this comic on a star scale of 1 to 4 and am looking for how well the comic stays to the source material, its entertainment value and its art and story. So if you’re ready, make sure to grab your flashlight to fight off the Mole People and let’s get into this From Horror Movie To Horror Comic update. 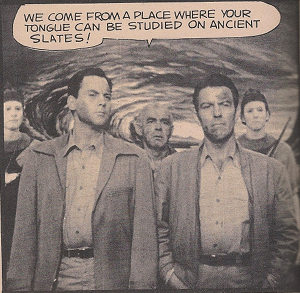 Researchers Dr. Roger Bentley, Dr. Jud Bellamin, Dr. Paul Suart and Prof. Etienne Lafarge along with others are in Asia looking for artifacts from a lost civilization, and get their dreams fulfilled when they find a tablet and lamp connected to them. They head to the mountains as that is where their finds lead them, and after an earthquake happens at the sight of ruins, a hole opens up and Dr. Suart falls to his death and Bentley, Bellamin and Lafarge are trapped underground! Once down in the dark only armed with a flashlight, they wander the caves and find buildings from the old world, and when they decide to get some rest, a race of humanoids called the Mole People attack while they sleep and drag them underground. 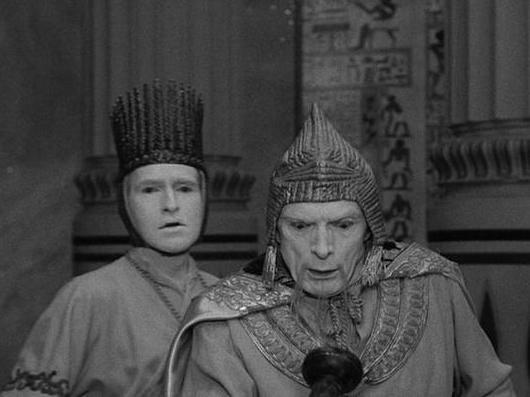 When they awake, they are met by two albino guards who take them to see the High Priest who orders them to death as he claims they do not have the food to feed them! Our heroes fight and escape their albino captors and find themselves in a place that has Mole People all around who are being treated like slaves by albinos with whips. While trying to escape, Lafarge is killed by a Mole Person and Bentley and Bellamin figure out that the flashlight hurts both the albinos and Mole People giving them power and are now in the favor of the albino king. Once back at the kingdom Bentley meets a young normal servant girl named Gizelle who he saves from a whipping, and she is given to him by the King as a gift. The pair of doctors try to figure out a way to return above ground and even save some Mole People from being beaten by the albinos, but while they save them, the flashlight also goes dead as its batteries die! The High Priest dislikes the outsiders and thinks they are not gods like the King does but just normal guys and even sacrifices a group of woman to the burning light in order to please their god. The High Priest is able to convince the King that the Doctors are mortal and not gods, and they drug their dinner and set to murder them. But luckily for our heroes, Gizelle runs into the caves and tries to get help from the Mole People who have grown to respect the doctors for saving them from beatings and death sentences. The Mole People attack and kill the albinos, and the Doctors along with Gizelle escape the underground and once back to normal life another earthquake hits and a stone falls and kills Gizelle before she could even live a few moments of life above ground and our tale ends. This is one cheesy and yet fun Photo Comic that blows through the movie really fast and delivers an entertaining quick read for readers that holds true to the film for the most part, but also adds its own touches with a few twists not from the movie. Our story has a group of doctors on the hunt to find a lost city that end up falling into a hole in the ground that leads them to the lost city as well as to the people still living there and a race of humanoid mole people. The doctors must fight for their lives to find away to escape, and their only weapon is a flashlight that is getting low on power! Dr. Roger Bentley is our main hero and the one with the flashlight. He is also the one who is saving peoples hides from beatings as it’s clear he does not like the albino people of the lost city and their cruel and selfish ways. The one down side to Bentley is that at times he as well comes off as kind of full of himself, and I think gets a slight god complex as he knows he has the power. Dr. Jud Bellamin is a smart man who clearly follows the leader as he is a fish out of water when it comes to the underground world. Prof. Etienne Lafarge is an old goof who leads himself to his own death and also is the weak link of the group and his dead body is also the one who leads the albinos back to the headhunt of our heroes as it showed they are also mortal. Slave woman Gizelle, who is normal, is also very sweet and is the true hero of the story as she is the one who gets the Mole People to help the doctors. The Albinos are very cruel and keep slaves, beat and kill those who cross the King and treat the Mole People like scum. The High Priest is the worst of the albinos as he is very much the one who pushes for cruel punishments and hates the power the Doctors and their flashlight had over the King. The Mole People are starving and will attack and kill people and yet also have a loyalty to them as they will help those who help them. Some of the changes made in the magazine are noticeable and are nice surprises, and I will not spoil them for you readers as you should read it and catch them yourselves. The comic downplays the horror elements and does have some blood via a massive scratch done by one of the Mole People and does have death as many albinos die during the final attack. The cover is eye catching and is that classic 60’s Horror Magazine look, the picture layouts is done by Russ Jones who also did the script for this photo comic. Over all this is one of the better Photo Comics I have read and is cool retro Universal Monster item for a Science Fiction Horror Movie that is often forgotten. Check out the panels below to see they style used in this magazine. So while many comic readers don’t like Photo Comics (Magazines) and others view it as a dated style of comics, I for one find them fun and enjoyed reading this one. Plus it’s been very fun talking about the Mole People as well as the first time I have covered Warren Publishing here at Rotten Ink. But I fear it’s time we walk away from the underground world of the Mole People. We will be heading to the old west for my next update as we take a ride with the one and only Rawhide Kid from Marvel Comics! So until next time, read a Horror Comic or three, watch a Universal Monster Movie or two and as always support your local Horror Host. So hope you’re ready for a western done Marvel style!